Government of Alberta Sustainable Resource Development - FTS Inc. 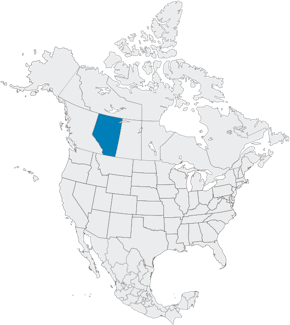 Provincial agency responsible for the sustainable use of lands, forests, fish, and wildlife resources in the western Canadian province. Situated to the east of the province of British Columbia, Alberta’s western border is comprised largely of the Rocky Mountain range peaks. Moving east, the mountainous range gives way to a vast boreal forest in the northern half of the province and prairie flatlands in the south. Rapid temperature shifts are not uncommon in this region, created by the winds from the western mountain ranges, resulting in temperatures anywhere between −50°C in the winter to 35°C in the summer. The Government of Alberta Sustainable Resource Development has been an FTS customer since 1980. The Government of Alberta Sustainable Resource Development fire RAWS network plays an important role in monitoring fire weather conditions during the hot summer months. 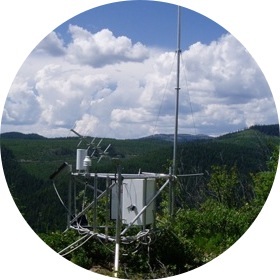 The data gathered also contributes to weather monitoring and long-term climate forecasting. CFFDRS (Canadian Forest Fire Danger Rating System), as well as other modelling programs.